Brigitte Bere is a native of Germany who has lived in Canada since 1976. She works with many different materials in her art making and has received many awards. 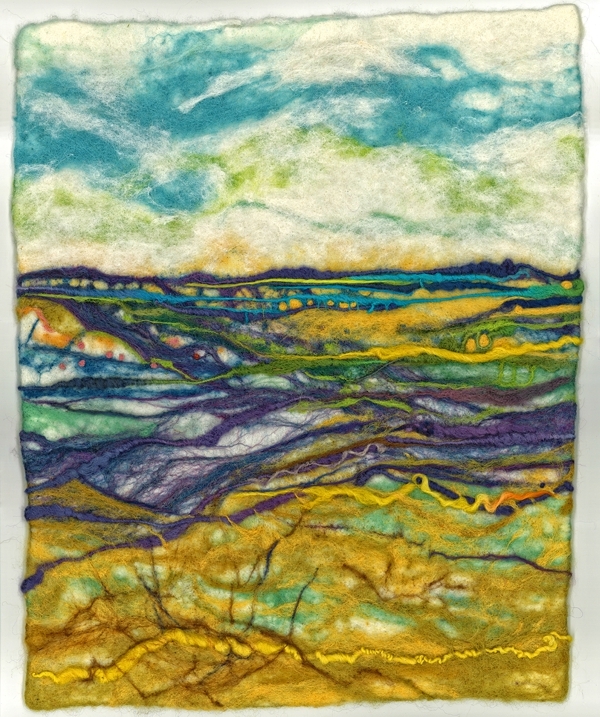 Wet Felting is a process that has always interested Brigitte. She has created fabric that she used in clutch purses and shoulder bags. 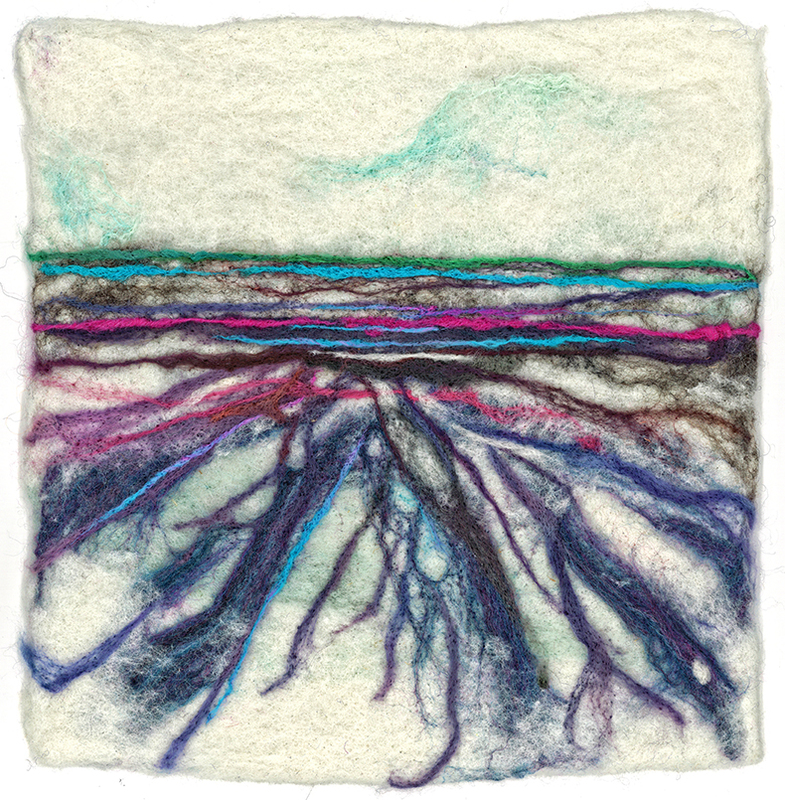 Last year she started again to felt landscapes and broaches.